What’s New in the Hot Chocolate Industry? So, you are the kind of person who would rather fill your morning mug with a good hot chocolate rather than coffee or tea. You have suffered for so many years as coffee has held the spotlight and tea has remained the drink of choice for the upper crust. Well, now you have reason to celebrate. There are two important trends now emerging in the hot chocolate industry that are increasing the stature of your beverage of choice. For the record, hot chocolate is no longer a drink confined to cold winter days when the hot beverage is used to help take the chill out of one’s bones. It is now a socially acceptable hot beverage consumed 365 days a year in homes, offices, restaurants, and cafes. Wine lovers have their special vintages while coffee lovers have their preferred blends. What do hot chocolate drinkers have? Until now, very little other than dry drink mixes to which water is added. But things are now different with the introduction of single-origin hot chocolate. This gourmet hot beverage is popping up at cafes and coffee houses all over the country. 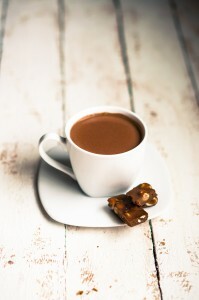 Single-origin hot chocolate refers to a hot beverage made, on-site, directly from cocoa beans, husks, nibs, or pure chocolate. Simply put, it is a handmade drink derived from pure chocolate or various parts of the cocoa plant itself. It is not mixed with any sugars, emulsifiers, extra flavors, and so on. Making the hot chocolate beverage this way allows experienced chocolatiers to produce an incredibly rich beverage that is unparalleled by anything you could find on a grocery store shelf. You really have to taste it to understand how different it is. The second trend we want to address is that of increasing consumer demand. While we do not yet see unusual growth here in the U.S., hot chocolate has finally overtaken both coffee and tea in England. At least one prominent retail chain, Harrods, has experienced double-digit sales growth of hot chocolate products since the start of the year. Hot chocolate sales now outpace prepackaged coffee and tea. Harrods officials say that hot chocolate has always been viewed in Britain as a luxury drink. But a heavy emphasis on the introduction of new flavors and better quality has led consumers to begin looking at hot chocolate in the same way they perceive tea and coffee: as a daily beverage that can be enjoyed by anyone. It is plain to see that hot chocolate is becoming a more popular beverage among consumers both here and abroad. That’s just fine with us. Here at Galaxie Coffee, we are thrilled the be able to offer a full line of hot chocolate products alongside our coffees, teas, juices, and bottled waters. Do not forget to ask about our hot chocolate selections when you contact us for service to your office. As coffee lovers ourselves, the team at Galaxie Coffee appreciates the efforts of those on the cutting-edge of America’s coffee culture. We appreciate the growers, roasters, and retail outlets who make enjoying a good cup of coffee a genuine pleasure. Without them, coffee just would not be the same. Galaxie Coffee works with a number of industry professionals at the forefront of the industry. For example, City of Saints Coffee Roasters is one of the local craft roasters we support. City of Saints takes great pride in offering its customers distinct blends made from coffee beans acquired from Ethiopia, Costa Rica, and Guatemala. They take great pride, as do we, in the pleasure their customers experience every time they have a cup. Craft roasted coffee is the latest in a long line of artisan products to come to America. The trend began years ago with artisan cheeses, artisan chocolates, and craft beer. Now craft roasted coffee is taking its place as the premier coffee product for those consumers looking for something other than the corporate blends found on grocery store shelves and in franchised coffeehouses. While craft roasted coffee is high-quality coffee with excellent flavor, it is by no means exclusive. It is not as though craft roasters intentionally price all but the most affluent of customers out of the market in the same way some other artisans do. Rather, roasters want everyone to enjoy what they enjoy. City of Saints is just one example. They operate two excellent coffee shops in the metro area; one in Hoboken and the other in the East Village. We would be remiss if we did not talk about cold brew coffee alongside craft roasted products. It turns out that the emergence of craft roasting has given new life to a cold brew process that has been around, but largely ignored, for generations. Cold brew coffee is a very different kind of experience in that the flavor of the beverage is more subtle and less bitter compared to traditionally brewed coffee. Combining a high-quality craft roasted coffee with the cold brew process results in a very delightful product just about any coffee lover would appreciate. Of course, that’s assuming one appreciates cold coffee. But if not, craft roasted coffee is just as good hot as it is cold. The staff at Galaxie Coffee welcome the opportunity to work with partners such as City of Saints. We know the craft roasted market is not one all of our customers will fully embrace, but we are happy to offer craft products to anybody who wants them. 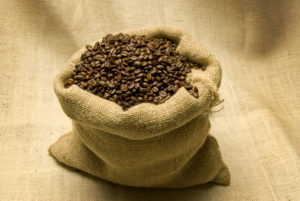 You need only ask about our selection of craft roasted coffees when you contact us. In addition to coffee, we offer a complete line of hot and cold beverages, breakroom supplies, and janitorial products. Our service area covers all the New York Metro including offices, manufacturing environments, retail outlets, professional buildings, and more.